Throughout September, we worked hard to increase awareness around HPV and cervical cancer. From social media campaigns to radio and television appearances to Cervivor School and the NYC Pap Rally and Run, our efforts have been getting more women and men involved in the cause. 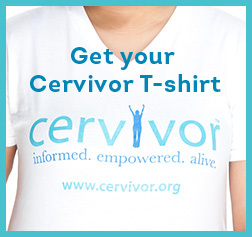 Our first Booster campaign, where Cervivor t-shirts were available for sale for $20, helped raise over $500 to support Cervivor. We also ran a social media campaign across Facebook, Twitter and Instagram where a series of infographics highlighted important facts about HPV, cervical cancer and women’s health. You can help share these facts with your friends and followers – use the hashtags #GCAM, #gyncsm, and #preventcc to find and share these facts. The month culminated with a weekend in New York City. On Saturday, September 27th, over 100 women, men and children participated in the PAP Rally and Run, Cervivor’s signature 5k walk and run. Jacque Reid, host of New York Live on NBC emceed the event, and over $10,000 was raised to help end cervical cancer. 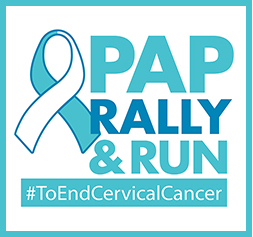 After the PAP Rally and Run, graduates of the January 2014 Cervivor School were invited to a screening of the documentary “Someone You Love: The HPV Epidemic.” This film follows the stories of five women whose lives were changed forever by cervical cancer. 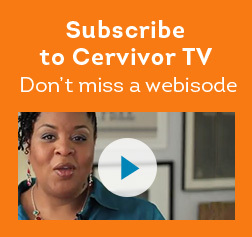 Cervivor’s founder, Tamika Felder, is one of the women featured in the film. The stories of these women reflected those of the women watching. The film stirred up strong emotions: the heartbreak and loss that can accompany a battle with cancer, as well as the strength, love and joy that survival can bring. The team at Cervivor will continue to provide updates about the film and how you can arrange a screening in your city. Be on the lookout for ongoing projects, as well as some exciting new initiatives in January 2015, Cervical Cancer Awareness Month! 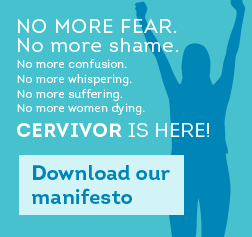 For more information on how you can be a part of Cervivor, please visit www.Cervivor.org. Every year from September 15th through October 15th, Americans celebrate National Hispanic Heritage month. During this time, America honors the cultures and contributions of Hispanic Americans. 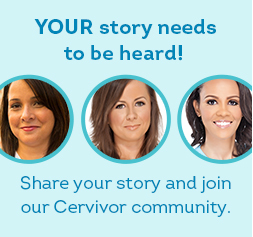 At Cervivor, we celebrate the lives of the amazing Latinas who are part of our Cervivor family, whether they are survivors, volunteers, friends or caregivers. It’s so important to take time during this celebration to educate women about HPV and cervical cancer because Latinas have the highest rates of cervical cancer out of all groups of women, and they have the second highest mortality rate after African American women. HPV, the virus that causes virtually all cervical cancers, affects around 70% of Americans. But with regular screening and medical care, cervical cancer can be prevented! Six out of 10 cervical cancer diagnoses occur in women who have never had a Pap smear, or who have not had a Pap smear in the last 5 years. Patti Murillo-Casa was diagnosed with cervical cancer in November 2008, after she had gone 3 years without having a Pap smear. After her diagnosis, she was scared, ashamed and worried about what her husband might think. “That’s the myth and stigma the disease has,” Murillo-Casa says. “This disease isn’t because you’re promiscuous. If you’re sexually active, you’re going to get the virus. You have to go to the doctor. 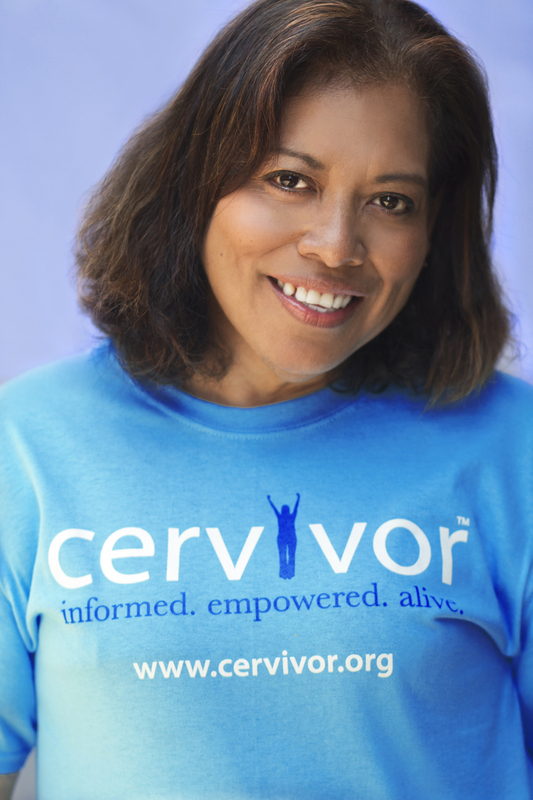 I tell women they don’t have to go through what I went through.” Patti now works hard as part of Cervivor to help educate and raise awareness in Latina communities. Cervivor, along with partners such as the National Latina Institute for Reproductive Health, is continuing to fight against the stigma of HPV and encourage women to get screened regularly.  The more information Latina communities have about HPV and cervical cancer, the faster we can erase the stigma around HPV, increase the rate of screening and decrease the incidence rate of cervical cancer. Working together, we can fight to increase accessibility to health care for all women, and break down the barriers that prevent women from getting the care they need. Help raise awareness about how HPV and cervical cancer affect Latina women. Visit the National Latina Institute for Reproductive Health at www.latinainstitute.org. Schedule an appointment with your doctor to get screened and understand your risk for HPV and cervical cancer. 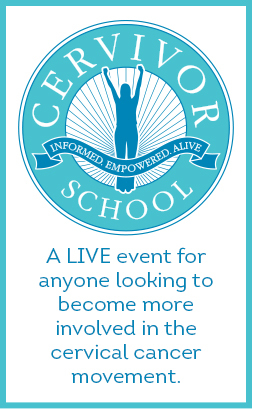 And join Cervivor to stay connected and learn more about how to end this preventable disease.